Thoughts, tips on how to deepen your practice, and more. A private yoga class is a fantastic way to celebrate any occasion! We all believe that to live our best life - we MUST celebrate something each day! Sometimes certain days lead to BIG Celebrations, other days we celebrate the mundane. IF you have something you want to celebrate - WHY not do it with YOGA! Whether your group is made up of experienced yogis, people who practice on occasion, people who have never been to a yoga class at all, or a combination of all three, we will craft the class to meet the needs of your entire group! We are happy to host your group during the free hours of our studio! Whether it is a turning point - BIG # Year - or just another year to celebrate, we are happy to spoil you with a group PRIVATE Yoga Class at Sift. In the past many groups have taken the class together and then moved the party to a nearby restaurant for cocktails and brunch/lunch/dinner! Begin your big day with a calming yoga class to relax and reset. Classes may be able to travel on-site to your location or most likely they are held at the studio. Class will be tailored to meet your needs. It is a perfect way to settle any BIG DAY jitters. Spend time with your favorite women and take in a peaceful class at Sift Yoga. This will be an experience you'll remember for years to come. Spend time bonding and growing with your staff in the comfort of our studio. What better way to celebrate leaving the stresses of your career behind, than with a peaceful private yoga class at Sift. Invite co-workers, family, or friends to see why you LOVE yoga! Prices for all these various private classes vary, but we are happy to discuss them further with you here. If you have something you want to celebrate with your child, we do that too! Stay tuned for our future post about YOUTH Birthday Parties! One of my favorite places to practice my deep breathing is while I’m driving or parked before going into an event. A couple times a year I’m usually invited to Castle high school to speak to outgoing seniors about mindfulness and stress reduction. When I’m speaking to these classes, talking about learning to use their breath to control their emotions and their stress levels, I always suggest that they practiced these in the car. Usually we feel pretty private in the car, often driving to and from places by ourselves, it’s an easy place to practice breathing. I always suggest that right as you pull into the garage, a parking space, or wherever you park the car, use these couple moments you have just to sit and breathe. You don’t need a fancy meditation app, though there are tons out there to choose from if you would like to have that assistance. Learning to be in stillness and quiet in your own space is a skill, and just like any other skill that we want to get better at it requires practice. That’s why I like to save this for the car. If you’re a mom like me inside your home sometimes it can be hard to find a quiet space, other than the bathroom, ha ha! Do you think this might work for you? 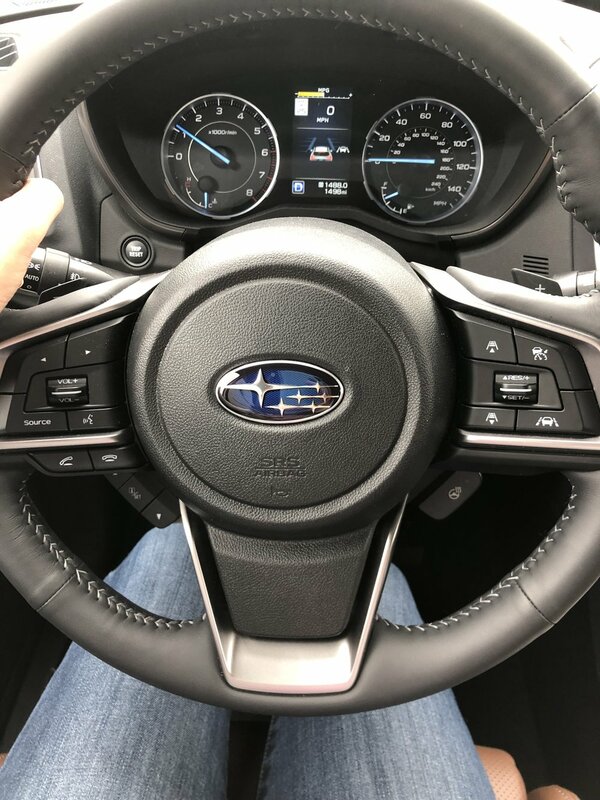 Can you grab a quiet moment as you pull into the driveway this evening, or after you drop the kids off at practice…. maybe as you park your car before you go into an event you’re a little bit nervous or hesitant to join? You might do something as simple as 5- Count Breath. Could be taking a few mindful breaths using some of the strategies you learn at yoga work for you? Tell me about it, send me your story I’d love to hear how you have practice this mindfulness tip of taking some deep breath’s in the car! Every night at dinner our family gathers around the table to share a meal. Well most nights, we gather around the table to share a meal! We all know the struggle it is to keep the family together during the busy school year, sports, clubs, activities all the things that pull our family time away. We decided that one way that we will make the most of this time together is teach our children the importance of communication and really listening. Growing up this was something that was such a high priority in my parent’s home. They made it a point to make sure that we had several family meals together every week. They also encouraged us to talk at the dinner table. I was able to express my opinion, ask questions, I hear about my parents day, and they truly care about what happened in mine as well. I knew that someday, when I had my own family, this was a tradition that I most certainly wanted to keep. So about three years ago, our family started sharing at the dinner table something good that happened to that day. it was very simple, we went around the table, my kids were young so having them recall just one good thing was sometimes difficult to do, but provided the opportunity to teach them what it meant to be grateful for the good things that happened. (Sometimes when they struggle to come up with what to say, or to start the conversation we would ask specific questions about recess, lunch, music class, playing outside, etc and before you know it — toddlers are having a real conversation! Now that my kids are getting a little bit older, we adjusted our method around the table, we don’t just simply asked for one good thing that happened today — now we play a game again that’s called, Two Goods and a Bad. — Now I’m no parenting expert, by any stretch of the imagination… but I do know that allowing my children a safe space to share with us, something that made them smile and something that maybe disappointed them, or added frustration to their day, is a healthy way for us to learn self expression and communication in our home. So when we sit around the table at night, we go around and everyone shares their two good things that happened in their day and one not so great thing. The not so great thing gives us the opportunity to discuss why it was not so great and maybe some problem-solving strategies as to how to improve on that situation if it happens again in the future. I also think it’s healthy for our kids to hear, sometimes things don’t go great for mom and dad too. We often share something that maybe was a little bit frustrating in our day and how we chose to solve it — of course we censor sometimes what we talk about and make sure that the conversation does stay light — but it’s been a great exercise for our entire family. I think putting some sort of gratitude practice in your family’s daily schedule is a wonderful way to model mindfulness. Mindfulness is the act of being present. It is simply allowing your mind to be here (where your feet are) and less full of distractions. When we are sitting at that table - we are discussing how our days we are - WE ARE THERE - our phones are not out, we don’t have a TV on, we are simply together as a family sharing about our lives. This is something that I know is making such a positive impact on the children that we are raising. What kinds of methods do you use at your home to bring more mindfulness in? If you’re interested in learning about more mindfulness strategies or just sharing parenting advice, inspiration, and support —- I would love it if you would check out the upcoming workshop we have called Yoga and Mindfulness for Mom‘s. It will be a six week series meeting at Sift Yoga on Monday starting at noon. If you work from home or of a flexible schedule, (or can get a sitter) I hope that you will join us! Get it on your calendar! We are so excited for this series. Each class will consist of beginners friendly yoga, inspirational readings, as well as work from several different. workbooks books, and books that are my favorite! You will be able to take the strategies that sound like they will work for you, and apply them that day! If you would like more information about the resources that will be used in this class, or if the class is self, feel free to reach out. You can email and we can discuss this upcoming workshop! Now take a couple moments grab a piece of paper and maybe write down what you will use this evening as your TWO GOODS and A BAD. “Yoga is not about the shape of your body, it’s about the shape of your life”. When I was crafting my vision board this year that was a quote that I found in a magazine. It spoke to me. 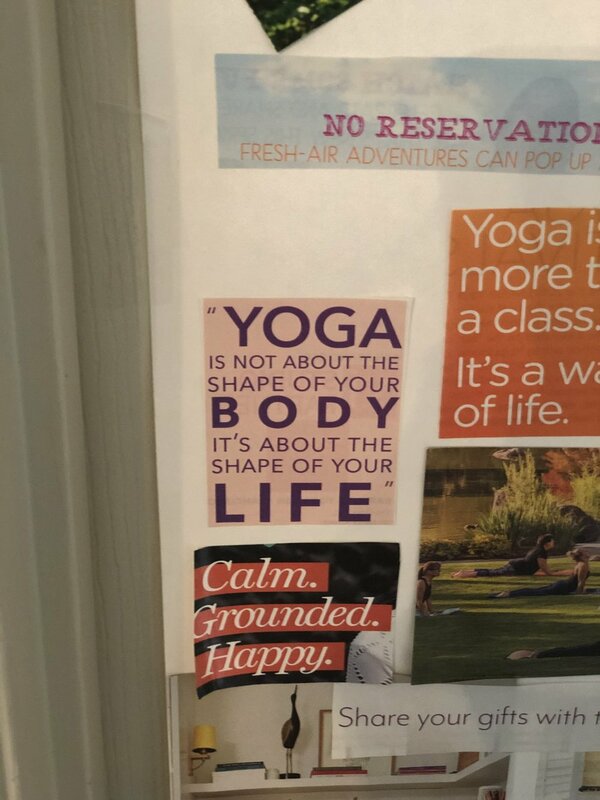 That is exactly what yoga has done for me. It has not magically turn my body into some miraculous new shape, though I have found new levels of balance, and flexibility. And it has helped me develop an appreciation for this vessel I live in. I want to care for it, feed it healthy foods, hydrate it, and listen carefully to its needs. Yoga for me has done so much more for all sorts of other aspects of my life. I’m definitely much more present, more understanding, more compassionate to others, and more able to appreciate life’s simple moments. Often times I know that when I roll out my mat, that starting breath I take might be the first big full breath I’ve taken all day. Though now that I am consistently rolling out my mat, I am tapping into that breathing at many other points of my day and reminding those around me to do the same. I have learned to appreciate the physical things I am able to do, and accept that if I’m not there YET in a pose, that it is ok! I am on a journey - my practice is a journey- and if I am quiet enough, I can learn a lot along the way. Yoga has also brought SO MANY amazing people into my life (the instructors at SIFT are just a small reflection of that). AND with each of these people, I have learned new things about myself. I have seen what I can do when faced with a challenge, and how to stay humble when things seem to go my way. I have learned to be open to new opportunities, and when to pull back when I am feeling out of balance. It’s so much deeper than just memorizing poses. I definitely know that yoga has shaped my life in more ways than just the physical. How has yoga shipped your life? What changes have you noticed, on and off the mat? Did I mention how much I LOVE creating a VISION BOARD each year! It is may favorite way to plan for the year, setting goals, visualizing how I can live my best life. If you are brand new and looking to start yoga, reach out to us! Let’s chat about where your journey should begin. We offer classes in chairs, classes a little slower, classes for those who like to move and breathe at a little bit faster pace, as well as restorative classes that are encouraged for stress relief and relaxation. Yoga is more than just one style, if you’ve only taken just one or two classes, it’s time to start branching out and seeing what other ways yoga can shape your life! So, for those of you who read my blog - I started a detox a little over a week ago - You can see original post here , well reality set in this Thursday/Friday! You see, my husband planned a getaway for us, we had 24 full hours kid free in Louisville, staying at the NEW Omni Hotel. It was so nice to spend time together, have a nice dinner, and reconnect. I decided on the way there I was going to break a few rules, AND NOT FEEL BAD ABOUT IT! Because, you know what - Life HAPPENS! I drank a bit, indulged in a HOT BROWN TATER TOT Appetizer that was wrong on SO MANY LEVELS, and had a cookie before bed :) - But other than that, I pretty much stuck to my plans. And you know what…. It’s ok! Because today is Monday, and I can RESET! Just like that - I can reset! I know that the eating and drinking choices have consequences, BELIEVE me - the lack of motivation I had the rest of the weekend reminded me of that… but I also know that for any sort of LIFESTYLE to take hold, you have to have a balance, you have to have forgiveness, you have to leave space for error, and then remind yourself why you live the life you live - to feel better, to be whole. So TODAY - MONDAY! I am starting again :) Loving myself, feeding my body fuel - not just mindless food, and I will have all my pep back in no time. If this is something that interest you…. 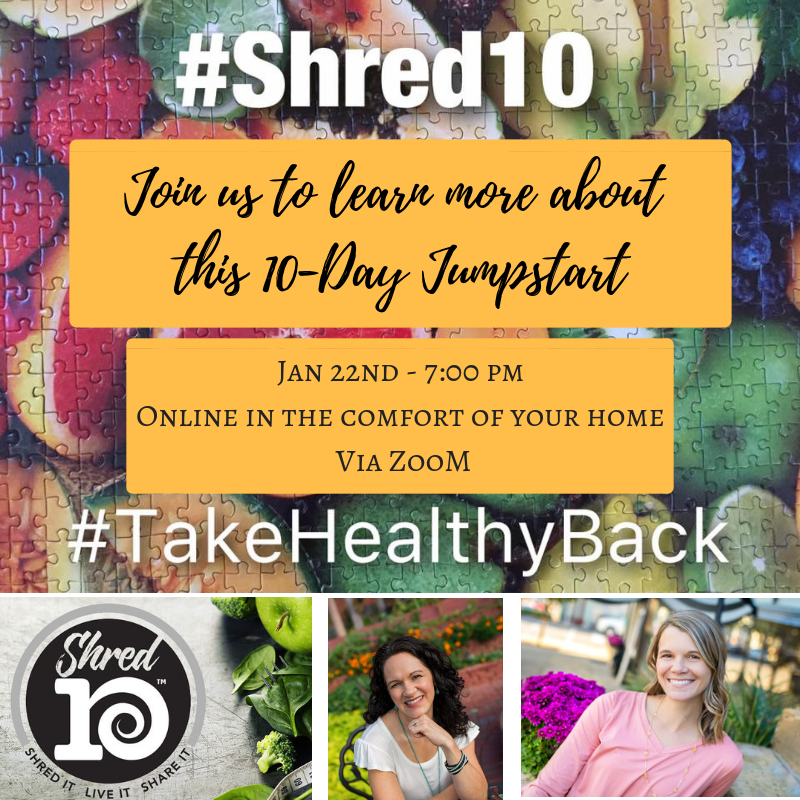 Join Kristi Cirignano (a health coach and a BIG Inspiration to me) and I, Jan 22nd (7:00 pm) in an ONLINE Webinar - learning about the Shred10 program and how you can get yourself on a path to cleanse out the YUCK and feel better, sleep better, and put the pep back in your step! For more information on this on-line, at home in your PJs webinar, email me at siftyoga@gmail.com - and I will send you the link and access code to join us! Day 5 - Get inspired at the Grocery! Day 5 of the Detox! Feeling GREAT! I thought today I would take you through a few of my FINDS from ALDI. Do you shop at ALDI? It is a good option for those who want to eat a bit healthier, but on a budget. Take a watch and let me know what your favorites are at ALDI. Day 1 - 2019 Take Back My HEALTH! Today is a NEW DAY for ME! Detoxing out the old - refreshing, and starting 2019 living my best year! Check out this Video and JOIN ME on this journey. Yoga in the Light - one year! Crazy to think that this time last year I was really starting to make the tough decisions needed, to open my own studio! Fear, anxiety, doubt - were all STRONG emotions. But I decided it was time to make a change, time to trust myself, and go on a little adventure! Did I know what was ahead ... certainly not - but I took a risk and I’m glad I did. For I have learned lots of important lessons this year, one of which was getting to know a deeper understanding of myself. This photo is me in the space, me taking a few moments to move in the light, Breathe and see if it felt like home. And it did! So I took a chance! I am so proud of our little studio - so happy to have taken the leap - and thrilled 😁 that each day we unlock the doors and invite in all who need a space to SIFT. Last week we learned from special guest instructor: Kimberly Allan. Kimberly "Kimber" first found yoga through injury. After she completed 6 months of hiking the Appalachian Trail in 2007, she was pleasantly surprised that she could not only heal her body through the practice, but that she could also find the same peace she could find while hiking mountains through asana. Kimber did her teacher training in 2011 in Thailand studying Ashtanga Vinyasa with Larry Schultz based. Kimber has spent many years traveling between the US and Canada studying many styles of Vinyasa and teaching both in the US and Canada. Some of her favorite Vinyasa teachers include MC Yogi and Megan Currie. It wasn’t until Kimber came to Ashtanga Yoga Victoria (where she currently teaches) that she really started feeling passionate about staying true to the Ashtanga lineage and the tradition of the practice. She loves the Mysore method and couldn’t imagine life without it. What a special week this was exploring Ashtanga Yoga! Ashtanga is a method, a path, for many practitioners, it becomes their primary spiritual practice. We practice not to advance in the sequence, but to live a more peaceful life. The Primary Series is cleansing for the body — from the lymphatic to the digestive to the cardiovascular systems. Other benefits vary by person, including but not limited to: internal/emotional strength, physical strength, discipline, calm and centered mind, improved sleep, desire to improve diet, etc. Keeping the consistency of an external factor (in this case asana practice) allows you to better tune into what’s happening internally. This is why asana is the "gateway" to the other 7 limbs of yoga. Once memorized, the asana sequence is like a tool that you can carry in your pocket. You don’t need anything except your mat to practice. Like your breath — it’s always there for you. First you memorize the asana sequence, then the breath count, then you can shift your focus to drishti and bandhas. The practice becomes a moving meditation. Here is Surya Namaskara A. Repeat 5x. Take rest in balasana (childs pose) if needed. Or at the top of the mat in Samastitihi. Surya Namaskara B repeat 5x. Take rest when needed. Breath with sound. Closing postures. 10 breaths each. Take rest in Savasana at least 5 minutes. If this is something you would like to continue to learn more about - click here to see when our next Ashtanga for Beginners Series Begins. This week got me thinking... It was just a haircut, but it’s ALWAYS so much more! Tuesday I did a very normal thing, on a pretty normal day - I got my 💇 haircut. And like so many of us do, I made small talk with my stylist (a former cheerleader/student of mine that is ALL Grown Up!) We talked about my kids, my new home, and about the studio. She asked real questions about the business because she too is an entrepreneur, she too knows how much work happens behind the scenes, and she too knows the blood, sweat, and, tears that are associated with starting/running/continuously working to grow your brand. She was truly interested in hearing about Sift.... and so I started taking. I told her about our Sift Yoga family, about how our regulars know and love us (as we do them), and how I deep down know that I am fulfilling a need for so many wonderful people, offering a safe place for them to come take a deep breath, to move when and how they are ready, and provide them with a time to remember themselves. However, I didnt sugar coat things when I told her some months we are busier than others, or that August has been pretty slow overall. I told her, “You know, it’s like people love themselves, come try classes, commit to coming, but then life happens and ... they forget about themselves - they take care of everyone and everything else... and somewhere in there ... Yoga for THEM doesn’t make the cut” - I paused and said “that’s the hardest part, they are who I miss, they are who I write newsletters for, post to Facebook, or write handwritten notes to. They simply forget about themselves, and I hope through reaching back out I can remind them they are important”..... She smiled and nodded her head ....she knew EXACTLY what I meant! She knew EXACTLY how it felt! So I know that it’s easy for us to get busy, easy for us to forget to make ourselves a priority, easy for us to fill our days with too many commitments and not enough down time. I know that unexpected expenses come up, and things like haircuts, dining out, or yoga classes just can’t be a regular thing. But I guess what I’m trying to say is — just remember that you are worth remembering! That just like how I felt after FINALLY getting a haircut 🤣 you too deserve to be remembered! “Remember Me” might be reading agood book for a few minutes, or a phone call to an old friend, a walk around the block with a four legged pal, a cup of tea on the deck early in the morning, or a warm bath at night before bed — of course we would love to see you at Sift, remembering you too! It is so hard to believe it’s JUNE!!! I’m officially entering my 6th month as owner of Sift Yoga - AND THAT BLOWS MY MIND. I’ve learned some much in the last 6 months not only about the ins and outs of being a small business owner, but also about people. I’m so incredibly grateful for the support that I have received from friends and family near and far. From previous clients of Renew (thank you for trusting my vision and allowing me to bring your little secret yoga out to grow - it was something special that needed to be shared). From friends who are not into Yoga but still came to my Open Houses, sent me cards of encouragement, ask repeatedly about how things are going and continued messages of support. Love you all!!! And wow ....I have learned so much about myself. I am proud to be a role model for my kids showing that women can dream, chase dreams, be moms, and take risks. It isn’t one or the other! I’ve had to wipe tears, sweat, dust, and yoga mats 😉 a lot these last 5 months - but I cant wait to see what the future holds. I am enjoying the ride, and trying to stay in this present moment. Embracing the magic that is Sift Yoga, and dreaming up new ways to share it with all of you! Add four thinly sliced strips of red bell peppers on one side of the tortilla, Four thinly sliced raw zucchini sticks on the other side of the tortilla, Four pieces of raw baby spinach in the middle of the tortilla, And one roasted asparagus stalk on top of the spinach in the middle of the tortilla. Now roll the tortilla with it's ingredients up carefully and slice in to one to two inch pieces (like sushi!). Serve as a fun and healthy summer snack for your kiddos. They are also beautiful enough to bring to a backyard barbecue! See what Yummy Recipe Becca has to share this month! In a medium sized skillet, sauté: 1 small package of fresh diced mushrooms, and 1/2 of a diced red bell pepper in coconut oil. Season with salt, pepper and garlic powder. As soon as the mushrooms and peppers are soft add two large handfuls of fresh spinach and wilt. Place this mixture in the bottom of a non stick twelve muffin pan. Beat one dozen eggs. Add 1/4 cup of cheddar cheese to the beaten eggs, and give it a little stir together too. Now pour the egg and cheese mixture over the mushrooms, peppers, and spinach. After cooked and firm, pop the muffins out and enjoy! They taste great with hot sauce or salsa on top. Also, you could add any veggies you like! I know broccoli works great in these. -ENJOY! Looking for a something a little Colorful for Dinner Tonight? Try our very own, Rebecca's Red Pepper Sauce with Spiralized . Rebecca currently teaches 2 days a week with us at Sift Yoga. Food is one of Rebecca's many passions and I have invited her to share her talent with you a little each month.... and this dish looks delish! In a high powered blender add all ingredients and purée until smooth and bright. Warm in a small sauce pan and serve over blanched, spiralized vegetables such as zucchini, yellow squash, and sweet potatoes! Tastes delicious with red pepper flakes sprinkled on top and a side of garlicky, steamed broccoli. Gluten free and heart healthy, you're going to love this recipe. Enjoy! Meet Rebecca: I am a self taught, healthy cook who believes little changes to your eating style can help you reap huge health benefits. I look at each meal and ask, "How can I tweak this recipe to obtain optimal nutrition, make it gorgeous, inviting, and fun for my family to eat?" I hope you enjoy our food journey together! Let's get cooking! The February Schedule will feature a new class - CHAIR YOGA. Please take a moment to watch this video from Rebecca Douglas on Chair Yoga. Chair Yoga will be offered FRIDAYS 10:30-11:30 and Sundays 12:30-1:30. Pricing: $12 for General Drop-ins, $10 for Senior Drop-ins or purchase a Punch Pass to save. Today we have an Guest Blogger sharing a little about a fun new product on the shelf at Sift Yoga. Make sure next time you are in you check out L R Fizzy Bath Bombs made by 9 year old, Leena Rice. Leena writes: "I was inspired to make these bath bombs because they are a safe way to have fun in the bathtub and just to relax. The steps involved mixing all ingredients, pouring and flattening it into the molds, allowing it to dry and harden, and then bag them up for you to enjoy! The Bath Bomb ingredients are: baking soda, citric acid, corn starch, epsom salt, water, olive oil, and essential oils. This batch was scented with Eucalyptus and Lavender. I hope you will give them a try! 2 for $1.00 - available at Sift Yoga." Are you signed up for the upcoming "Visualize Your Life" Workshop at Sift? It is a perfect way to transform those thoughts and words into actions, habits, character, and destiny! Check out the video here to see more about this amazing day we have planned! Hello friends old and new! Are you exactly where you would like to be in your life -- personally, professionally, health, family life & relationships? Are you ready to focus and get clear on what you really want and how to achieve your dreams? I’m Kristi Cirignano, and I’m so excited to be partnering with Carrie to bring you a vision board workshop we’re calling “Visualize your Life.” Join us on Saturday, February 17 from 9-12 for a fun and inspiring morning incorporating yoga, meditation, life and wellness coaching and creating your own vision board. Reserve your spot here! Carrie asked me to do a guest blog post to introduce myself to all of you before the workshop. 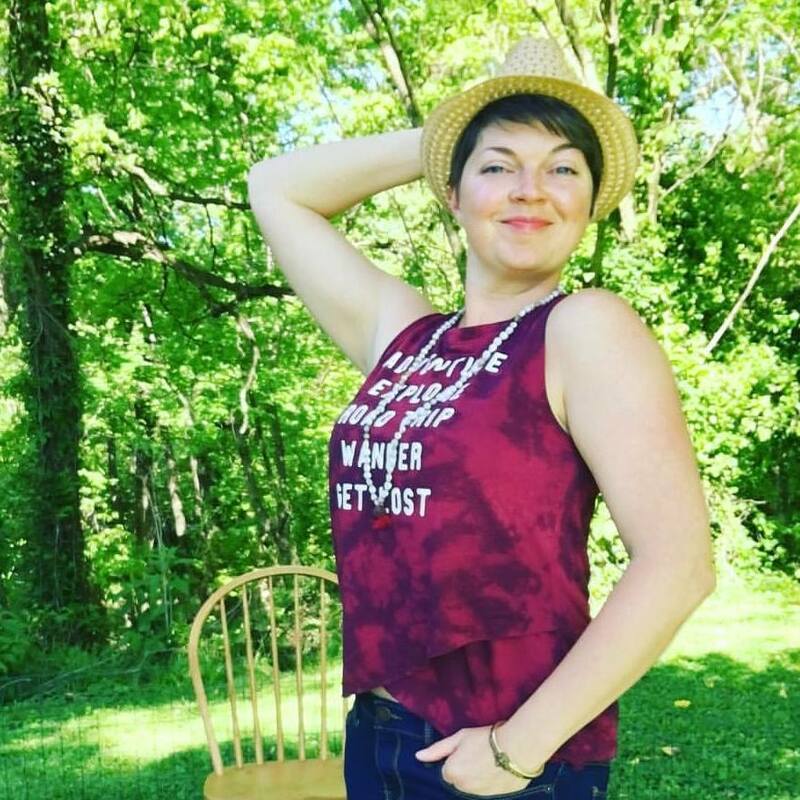 So let me share a bit about my health journey and what led me to wellness coaching. I’m a wife, mom to four amazing kids (10 year old triplets and a 3 year old) and a Certified Health Coach at Nourished for Life Wellness Coaching. I do local workshops, online group coaching and private coaching with parents, families and individuals who want to change their health story. I also write a healthy eating and living blog and a weekly-ish email with healthy living inspiration. My goal is to empower you to change your health and future through whole food and a healthful lifestyle. I provide education, resources, inspiration and support to help you make doable and sustainable changes to reduce or relieve ongoing symptoms and feel your best, reduce risk of disease, slow the aging process and live every day to the fullest! My own health journey began 12 years ago when I was practicing law. I went through three miscarriages and was diagnosed with an endocrine disorder. After a lot of research and prayer, I came to realize the overriding problem was pretty simple: I wasn’t providing myself with the nourishment I needed for my own body to be healthy and function the way God intended, much less sustain a pregnancy and grow another healthy little life. We began reducing processed foods and moving to a real, whole food eating plan. In November 2007, we were blessed with the birth of triplets. As a mom I became even more committed to feeding my family real food and teaching my kids to nourish and care for their bodies. Seven years later, I had dramatically changed my diet, started drinking a big green smoothie every day, using Juice Plus and doing yoga several times/week. I felt better and was healthier than I have ever been. A wonderful surprise pregnancy and the birth of our youngest daughter confirmed I was on the right track and my body was finally getting back in balance. During that same period of time I had another big wake up call--one of my dearest friends, a young mom with two beautiful little girls, was diagnosed with stage IV cancer. After she was told by some of the best oncologists in the country she probably only had a year to live, we began researching food choices and holistic cancer treatment options and I became even more convinced of the enormous impact our food and lifestyle choices make on our health. When my triplets went off to Kindergarten, I decided to share my passion for whole foods and healthy living by becoming a health coach. The more I learn and grow as a health coach, the more convinced I become that (1) eating whole foods and eliminating toxins is absolutely vital to our health and (2) other concerns such as stress, sleep, safe movement, unaddressed trauma and faith are just as important. So I work with clients on all of these fundamentals of good health. Vision boarding is such a powerful tool to help us clarify our wellness goals and our dreams, goals and plans for every aspect of our life! If you’re looking for more in any area of your life but aren’t quite sure what direction to go or what your or next steps should be, the process of creating a vision board can help you find that clarity and figure out what it is that lights you up and brings you fulfillment and joy. If you are a person of faith trying to figure out where God is leading you in your life, Psalm 37:4 tells us, “Delight yourself in the Lord, and He will give you the desires of your heart.” I don’t think this means God will give us everything we want. I think it means He will place in our hearts the same desires that He has for us. When I was trying to figure out if I should go back to practicing law, or what I was supposed to be doing with my life, my prayer was that God would place in my heart dreams and goals that were consistent with His will and plan for my life. Creating a vision board was a really impactful part of this process for me. If you are crystal clear on your dreams already--great! Vision boards are a wonderful daily reminder to keep us focused on our goals and to help us break down those big dreams into smaller doable steps. I find it so easy to get bogged down in the mundane, hectic daily routines and tasks and lose sight of the big picture—my goals, dreams and the things in life that bring me fulfillment and joy. Having those things all collected on one poster board I look at every single day helps keep me focused on the things that really matter. It reminds me every day of what I want my life to look like so that I can pray about it, plan for it, act on it now or work at it until it becomes reality. Are you ready to get clear on your dreams and set your intentions for 2018? Reserve your spot here and join us February 17 to Visualize Your Life! LIVE TV! Perfectly - Imperfect! But, ya'll Live TV is no joke! Ha ha! Colleen was so prepared with her note cards and perfectly crafted answers - I planned to "wing it". I thought I would be more nervous if I rehearsed some of my answers. I want to start off by saying Ange is a true professional! She quickly greeted us when we arrived and made sure that we introduced ourselves to the other guests of the program, a perfect networking opportunity, and then told us where to sit and wait for our time on air. Showtime! 10 seconds, 3-2-1 - It's LIVE! And I instantly thought... WHERE DO I LOOK? Camera, Colleen, Ange, where??? The questions start happening and all the sudden, I had to take a deep breath and go with it! It is fast and over before you can even remember what you said! As soon as it was over, Regret sets in for a moment.... AH I should have said this, or why did I say that! Like for instance, "Change the face of yoga" what ... I don't want to do that.... I want to ADD to the yoga in our community! We have AN AWESOME YOGA presence in our community! And did I just pronounce the name of our street wrong??? But yogis know, it is about the moment, the moment has passed and now it is time to move on! Perfectly Imperfect! My shirt I chose for the day is truly what I want Sift to represent. It is truly who I am working to be/embrace and what better way than on LIVE TV! But, you know what - It was fun! I love shining ANY LIGHT I can on YOGA - Especially for kids! So I will count today as a success. Looking for a GORGEOUS appetizer to add to your Holiday Meal? Try our very own, Rebecca's Jewel Beet Hummus. Rebecca currently teaches 2 days a week with us at Sift Yoga. Food is one of Rebecca's many passions and I have invited her to share her talent with you a little each month.... and this first dish looks delish! Roast the beet in a 425 F preheated oven for forty five minutes (or until fork tender). Peel the beet and chop in to large pieces after roasting. Add the beet, beans, bean juice, tahini paste, garlic clove,lemon juice, and salt in a food processor, and blend until smooth and jewel toned. Serve with colorful veggies, such as carrots, yellow bell peppers, and celery. Having some crackers with it could be extra good too. Who wouldn't want to eat gorgeous, pink dip? Plus it tastes earthy, nutty, and lemony! Adding the beets to the hummus adds a wealth of extra nutrition. Beets are good for keeping your heart healthy and they help give us extra energy for our holiday season! Not using olive oil in this recipe, as is typical in most hummus recipes, reduces extra fat and calories. Add eight to ten drops of sriracha sauce if you need to spice things up! Want to take a bit of the studio home with you? Check out the styles in the Boutique.